Molesey Conservatives chairman Steve Bax (left) has been elected as one of three Elmbridge Borough Councillors for Molesey East. Steve, who is 40 and lives in Cambridge Road, West Molesey, was successful in ousting the incumbent Molesey RA councillor Tony Popham - who polled 835 votes to Steve's 953 at the Elmbridge Borough Council election on Thursday May 22nd. UKIP's Trevor Marshall was third with 125 votes, Labour's Marc Doran was fourth with 121 and Liberal Democrat Paul Nagle finished fifth with 71 votes. It was Steve's fourth election in Molesey, having first stood in 2011 and lost by 1,000 votes, and then worked hard for a year to reduce the margin against him down to 107 votes in 2012, and then 24 votes at the county council elections last May. Councillor-elect Bax said: "I am thrilled, humbled and a little relieved to have won at last, after three years of hard work and many setbacks along the way. Perseverance has paid off and I could not feel more grateful to the people of East Molesey for giving me this amazing opportunity to serve - I will certainly not be resting on my laurels and will be working hard to deliver my manifesto." 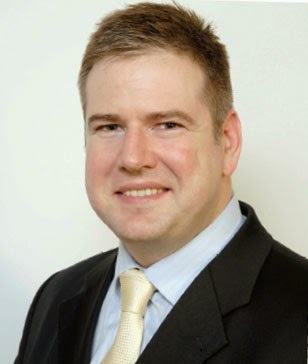 Steve campaigned on a platform of restoring democracy to Elmbridge Council by pledging to press for the principle of local decision making, rather than at Westminster, for greater transparency of the council's decisions - with broadcasting meetings on the internet as an important step, and tackling contractor overcharging and excessive pay at the Civic Centre. He also pledged to lobby the Conservative administration at Elmbridge for an hour's free parking in Molesey's Walton Road car park and implement a short residents parking restriction in roads around Hampton Court Station to prevent all-day commuter parking. 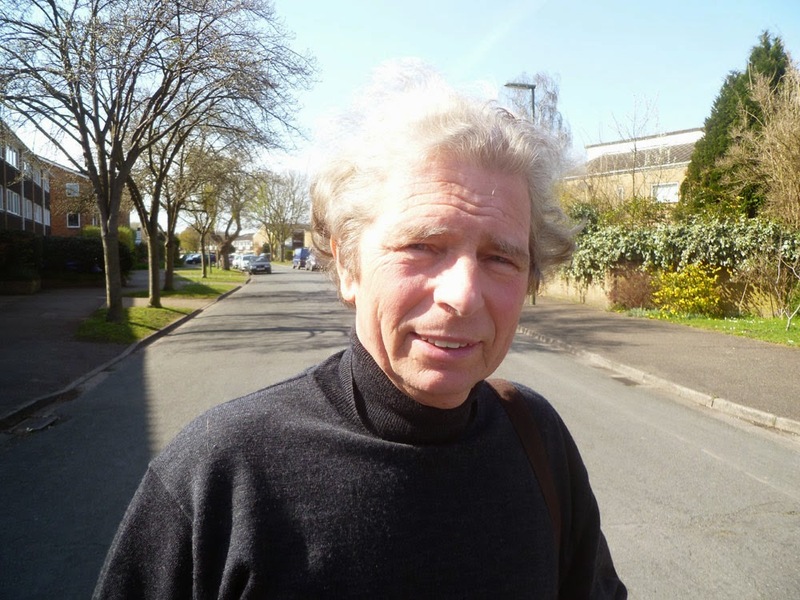 Steve, a former local newspaper reporter, has also promised to continue producing his popular Molesey News newsletters, to keep residents informed of local issues and of decisions that are being taken at Borough and County Councils in Molesey voters' name. Polling day was an intense and close fight between the Molesey Conservatives and Molesey Residents Association with both sides working hard to get their vote out, and not helped by the bizarre weather which lurched from sunny and hot to rain and hail stones. In Molesey North our candidate Grahame Throm Jones (right) took the fight to the MRA's Stuart Selleck with a popular pledge to restore the historic East-West Molesey boundaries which were altered in 1991, affecting the value of homes in places like Hurst Park. He also campaigned on the issue of Hurst Park School moving to a new site without adequate parking, and on the state of local roads. Grahame polled 364 votes to Cllr Selleck's 1105. Molesey North has only ever voted MRA in 40 years so a change is long overdue and the Molesey Conservative Residents will build on our showing this year to continue to offer voters a more compelling alternative to the status quo. In Molesey South our experienced candidate Christian Mahne (left), a Molesey resident and serving County Councillor, finished second to the MRA with 349 votes to their 1,157. Steve Bax said: "I would like to thank voters in all three Molesey wards who supported our candidates and we will continue our efforts in Molesey East, North and South to raise issues of concern and to provide a new and energetic approach to local problems." 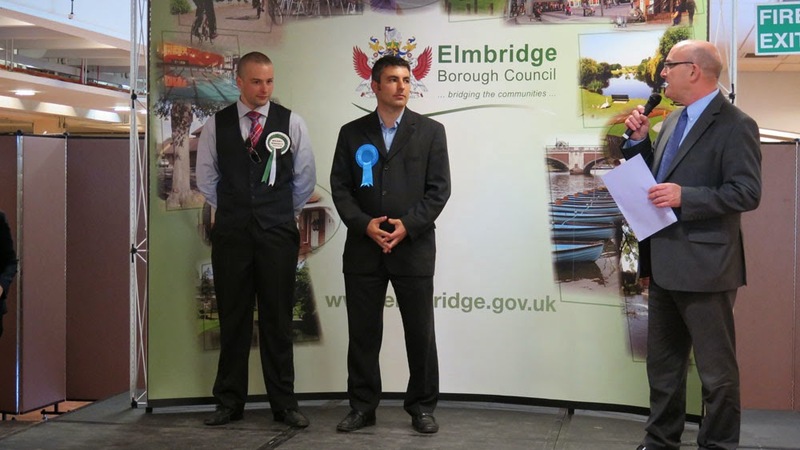 The results of the election mean that the Conservatives will continue to form the administration at Elmbridge Borough Council with an increased majority and currently hold 32 of the 60 available seats, with 1 seat in Molesey and 8 seats held by the Molesey RA. For the full election results go here.